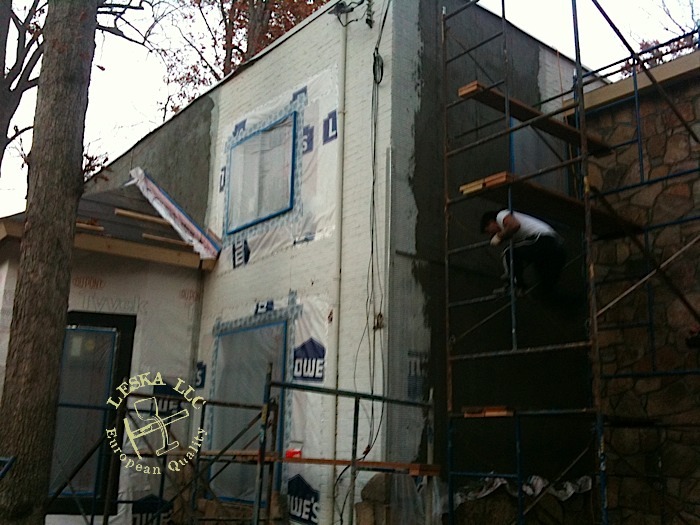 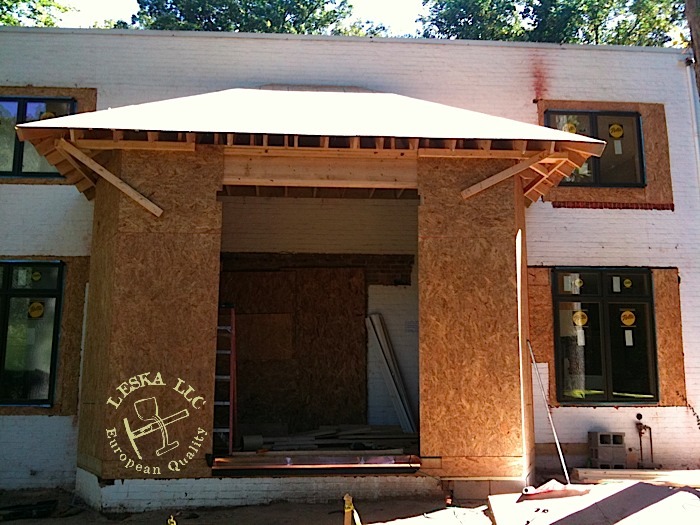 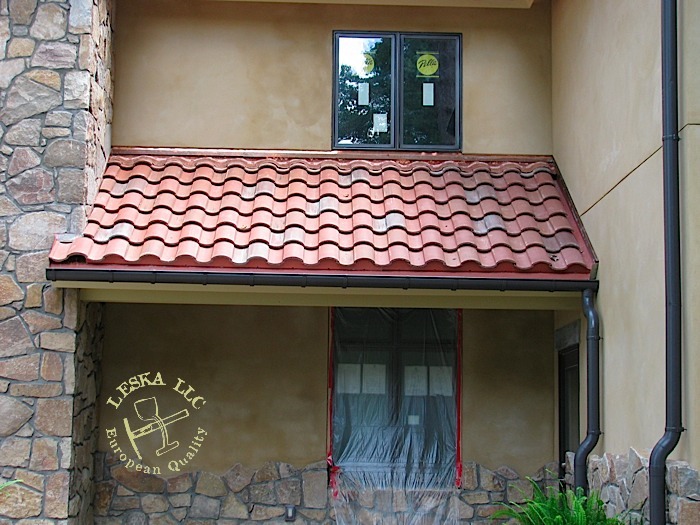 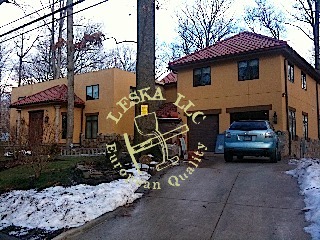 Leska LLC is Total wall approved applicator and here is gallery of real hard coat 3/4" stucco over wire mesh. 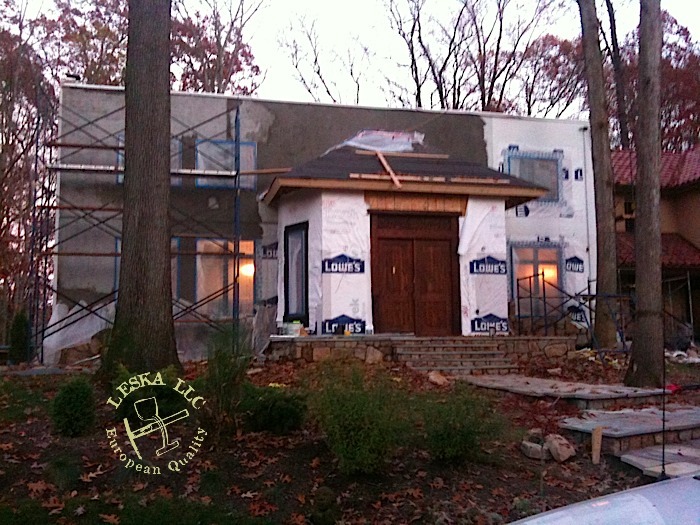 This entire project was done over 4 years and in 3 stages and at tifferent parts of year. 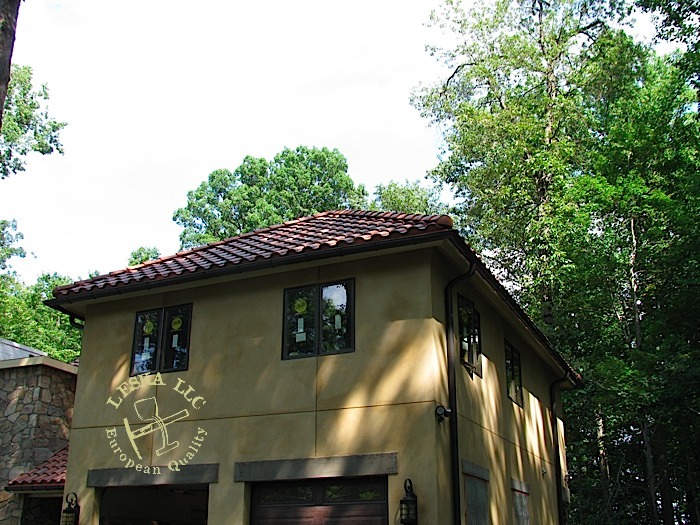 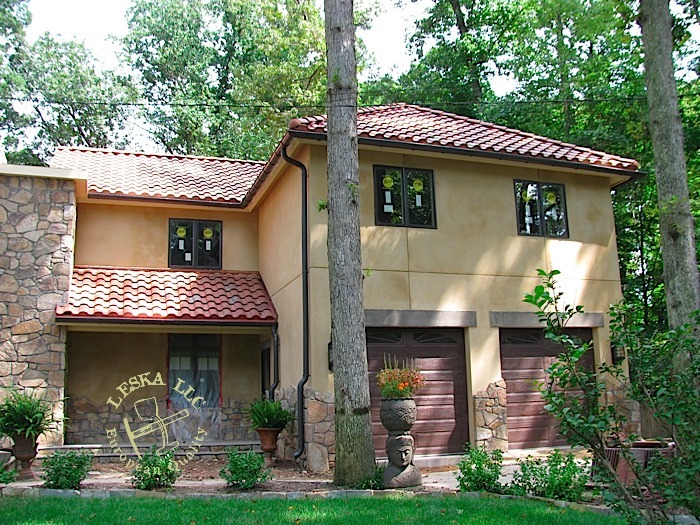 stucco is live material and even that we had exact formula at the end the collors were always slightly different and owner asked Leska to re paint all walls with special total wall stucco paint to match one uniform color.